With iS Clinical C Eye Advance+, you'll have everything you need for firmed, toned and bright skin around your eyes. This new and improved formula contains two superstar ingredients previously unable to be combined: 7.5% time released l-ascorbic acid and copper tripeptide. So when they're put together, the result is pure magic as collagen production is increased and skin is protected by antioxidants, creating an all-around more youthful look. Ideal for those with aging skin around the eyes to reduce the appearance of fine lines and wrinkles, puffiness and dark circles. Apply sparingly to clean skin by dabbing gently to delicate under-eye area. 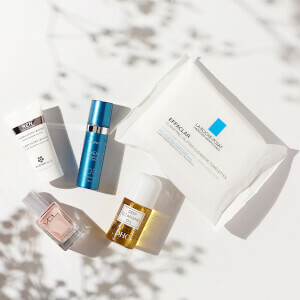 For best results, follow complete iS Clinical skincare regime. Water, Sodium Hyaluronate, Ascorbic Acid, Propylene Glycol, Zinc Sulfate, Dextrin, Tripeptide-1, Bioflavonoids, Polyporus Umbellatus (Mushroom) Extract, Phenoxyethanol. Another iS Clinical miracle product. 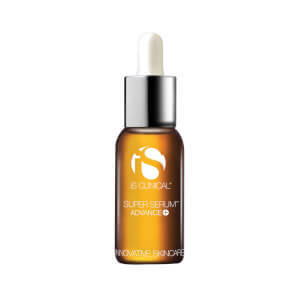 I purchased this because I was so impressed with the results IÃ¢â‚¬â„¢m getting from using iS Clinical Super Serum Advance+ and IÃ¢â‚¬â„¢m not disappointed! I am Asian, with fair skin, and turning 46 in August. In the past several years since I went back to school to get my MasterÃ¢â‚¬â„¢s Degree, I was getting so depressed hearing people tell me that I Ã¢â‚¬Å“look tiredÃ¢â‚¬ï¿½. The skin in my under eye area had worn so thin. I am using iS Clinical Cleansing Complex and these serums. They are making a noticeable difference. I love this C eye Advance+ better all I had bought. I will continue to use IS Clinical line. This C work so well, I woke up very happy, bright and less puffy.